Recently, we’ve been going through storage and re-introducing some items to the Indiana History Room. 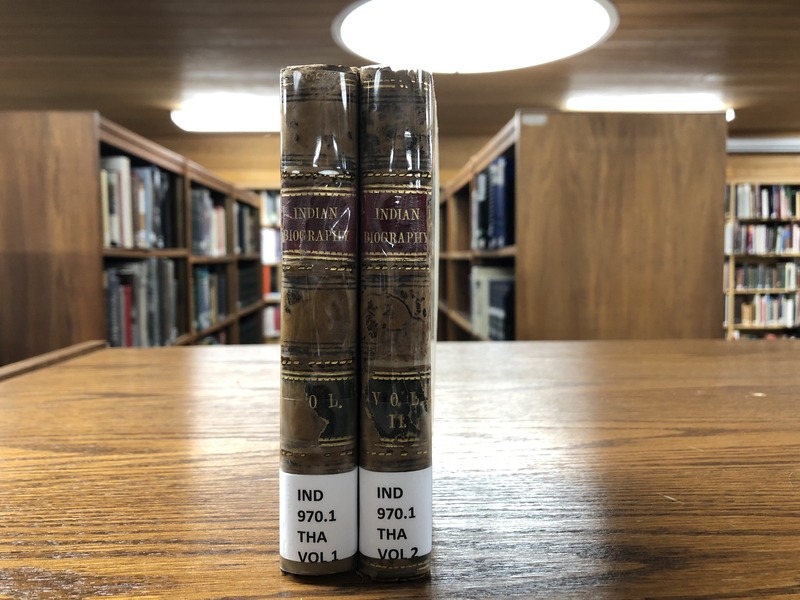 Among them are the two volumes of Indian Biography by B.B. Thatcher. These volumes were published in 1837 and have seen quite a bit of use in their lifetime. They feature biographies on Powhatan, Massasoit, Pontiac, Tecumseh, Little Turtle, and many more!